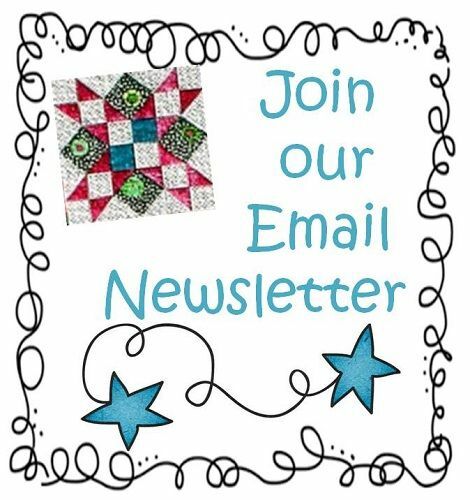 I wanted to let you know that I entered the Stained Glass Window quilt (see photos below) into the Dakota County Historical quilt contest here in MN. 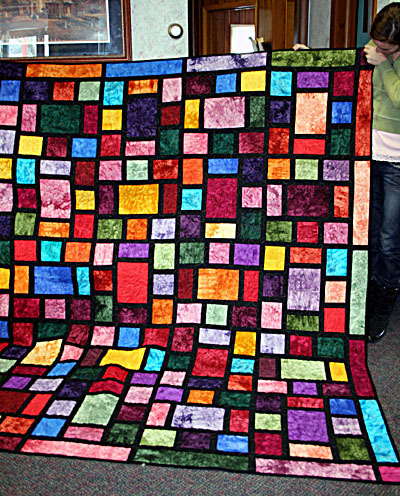 On Monday I was informed that the quilt was selected to be displayed in West St. Paul MN at the Dakota County Northern Service Center museum for 6 months. 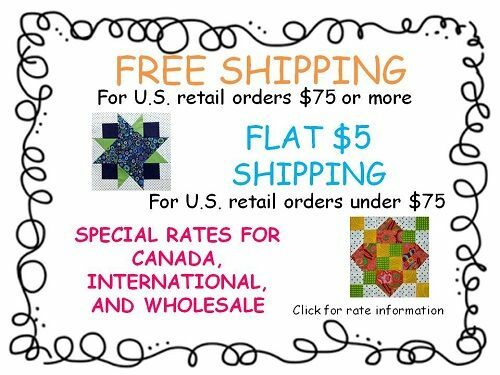 Because this was the pattern you designed I thought that you would like to know. I take it to the Board of Commissions tomorrow, Friday and fill out paperwork. I will know more at that time. 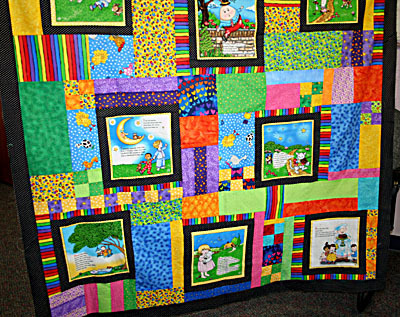 People so loved this quilt and told me I should enter this. Never in my dreams did I ever think anything like this would happen. 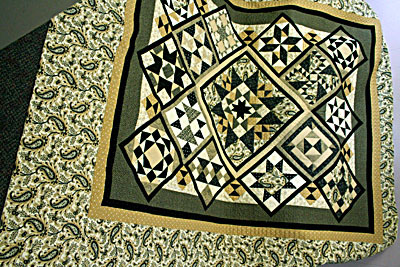 Quilting is a passion and a time of peace for me. I just figured that God has me on another exciting journey. So thank you for your designs I love your patterns. I am so looking forward to the material. 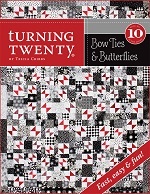 I am sending you some photos of a quilt I made from one of your patterns. 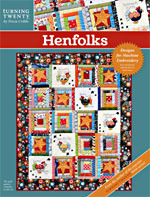 What I did was take panels that were to be made into a book and applied it to the pattern Funny Farm Animals. 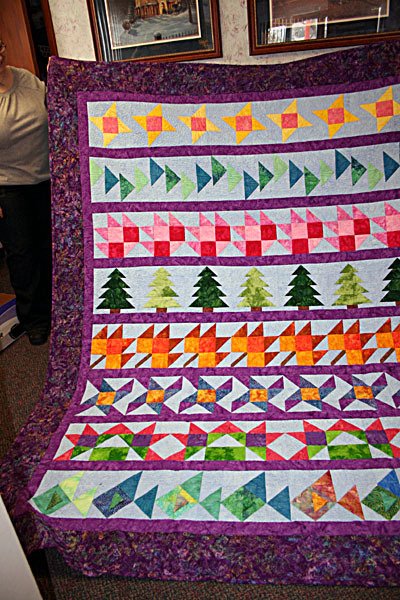 I was using up my scraps so I made my own border. 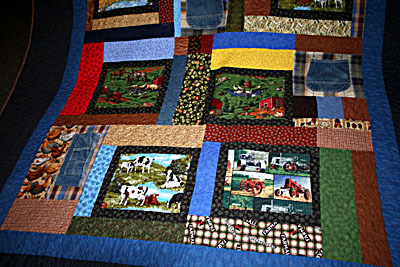 Such a fun pattern and I am making the Henhouse Friendship quilt, just about done with that one and then I want to make the Fence Around the Farm and the Barnyard Pinwheel. I love your patterns they are so easy to follow which makes it more fun for me. 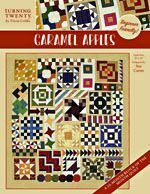 I also made the Stained Glass window quilt selling raffle tickets again hoping to raise $5,000 as I did on the Love Covers quilt. Will send you pictures shortly. 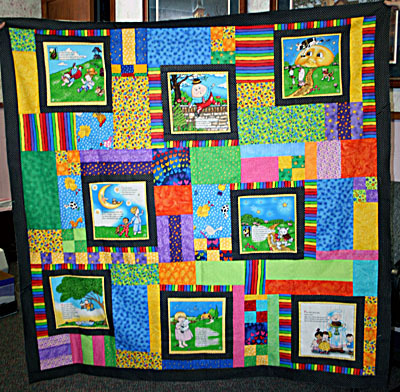 Here are the pictures of the quilt (Stained Glass) I am raffling off. 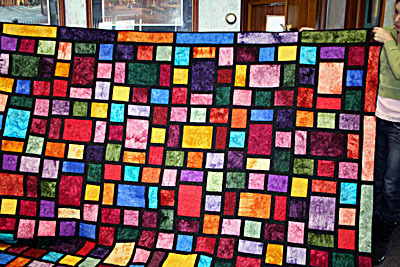 I have so many compliments on the quilts that I make from your patterns. We have snow and lots of it but not like out East. But loving it, to me winter is all about the large amounts of snow. Need to get out there and make my snow angel. Anyway have a great day and thanks for listening to me babble on. 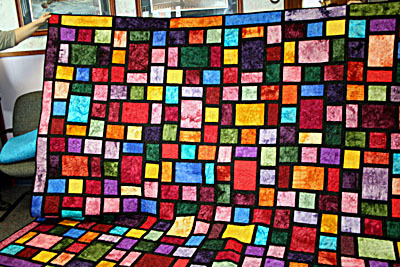 Here are some pictures of quilts that I have done. 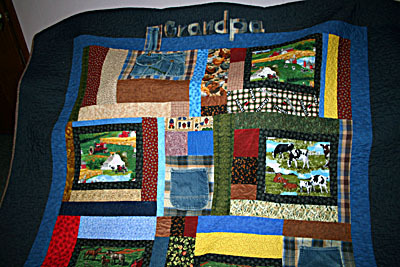 The grandpa quilt I designed out of my fathers bibs and flannel shirts. I will send a few more pictures of some others; been very busy. Hope all is well with you and your family. Please keep in touch.